Summer is officially here in Egg Harbor Township and The Storage Inn is bustling with warm weather activity. Landscape storage customers are shooting in and out, retrieving items from their storage spaces. Families are grabbing barbecue grills, surfboards, and bicycles from their summer storage rentals, and I even saw one of our younger self storage tenants on roller blades! Everybody loves summer! To celebrate, I’d like to share a few interesting facts about summer with our readers. In the summer heat, the iron in France’s Eiffel Tower expands, making the tower grow more than 6 inches. The month of June was named after Juno, the wife of Jupiter. July is named after Julius Caesar, and August after Caesar Augustus. The first Olympic Games in the modern era were the 1896 Summer Olympics, officially known as the Games of the Olympiad in Athens, Greece. The Games featured the Panathinaiko Stadium, the first giant stadium of the modern world that housed the largest crowd to ever watch a sporting event. Watermelon, a summer time favorite, is part of the cucumber, pumpkin, and squash family and consists of 92% water. 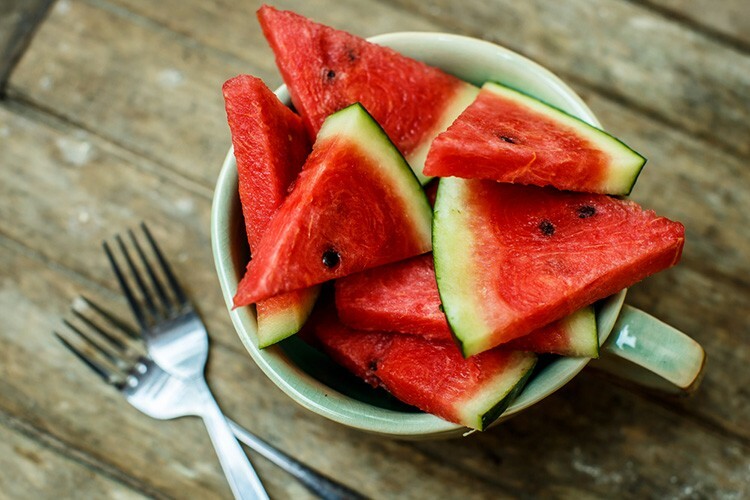 On average, Americans consume 15 pounds of watermelon annually. The popsicle, another summer time treat, was accidentally invented by an 11-year-old boy in San Francisco in 1905 during the cooler part of the year. He left a glass of soda sitting outside and by the next morning it had frozen solid. A little time later in life he began selling them at an amusement park in New Jersey. Cherry is the number 1 popsicle flavor in the United States. There you have it – A few things that you may not have known about Summer! 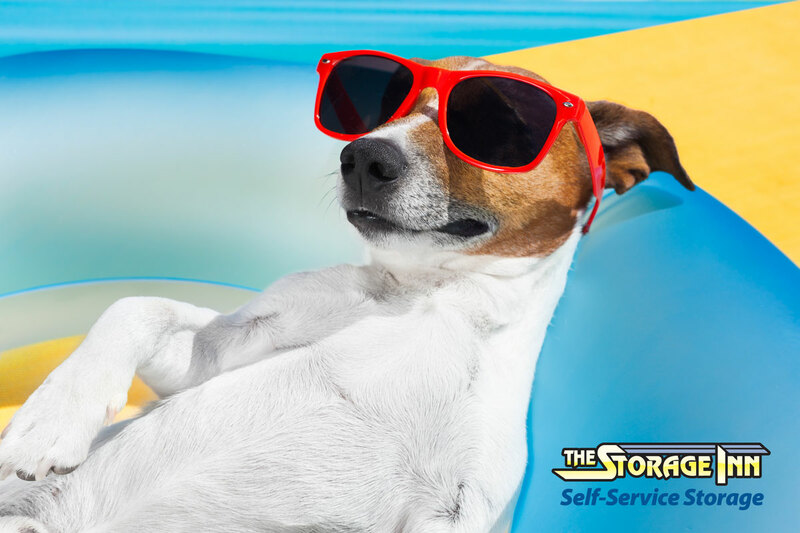 Happy Summer everyone from all of us here at The Storage Inn! Its mid June and the temperatures at The Storage Inn in Egg Harbor Township New Jersey, and The Storage Inn of Ocean City are starting to soar! The heat and humidity, however, does not seem to deter our customers from shuttling in and out as they rearrange and retrieve items from their storage spaces. As a courtesy to our self storage customers, we keep a refrigerator stocked with cold water to help them stay cool. 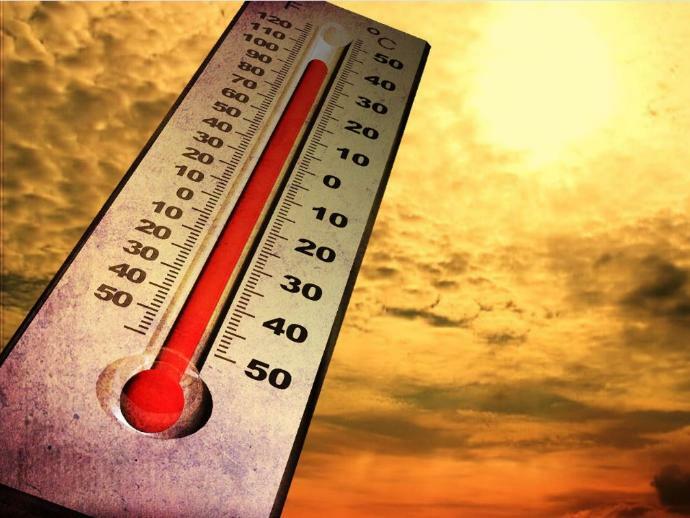 Working in high heat and humidity can be dangerous, especially for our senior tenants, so each year we offer a few extra tips on avoiding heat-related problems while working outdoors. Minimize your own energy loss by doing the heavy lifting early, so you can spend the hot hours in the shade, slowly patting yourself on the back. Put an empty bucket in the shade and fill it with icy water to keep your drinks cool, your washcloths wet and your cold packs charged, or to give yourself a reason to kick off the work boots for an invigorating foot-bath. Just don’t drink out of it! Using the garden hose to give yourself a spritz to the back of the head on the “mist” setting gives a relieving rinse, while a little jet action to bare feet cools you off and freshens you up. The more settings you have, the more satisfying the shower. Alcohol is a diuretic, which dehydrates you by causing the body to lose more water than it absorbs. Save it for the shade! Wear loose-fitting, lightweight, porous clothing. Choose heat-reflecting light-colored fabrics rather than absorbent dark ones, using long sleeves and pants to shade your skin, absorb sweat and reduce your surface temperature. Squeeze ice wrapped in wet washcloths behind your knees, on your wrists, in your armpits or on any major arterial lines. In the South, Little League team moms keep cloths in coolers for kids to wring around their necks between innings. In the yard, you can get creative. Chinese medicine cites the wrists as key to clearing the body’s heat. “Approximately 20 percent of your blood supply flows to your face,” says Walter Herman, M.D., a retired cardiologist from Philadelphia’s Jefferson Hospital. So you can lower the heat to the rest of your body if you just keep a cool head. If you can’t move your work to the shade, create your own with a broad-brimmed, light-colored hat. A bandana soaked in the ice bucket, or a sombrero left over from Cinco de Mayo would also do the trick. Use a work fan or a garage fan to keep the air moving over you. Fans create wind chill (a term more often used on frigid days). In this case, the sensation of coolness comes from sweat evaporating from your skin more quickly than in still air. You may also fan yourself with any of the hats from tip #7. For working in severe heat, you may want to consider a cooling vest. The Cool Vest costs about $130 to $200 and uses chemical cold packs that are inserted into pockets in the vest. After a few hours of exposure, drop them in the ice bucket for a recharge. Last on the list, but first in importance: Stay hydrated. The US Army Field Manual warns that you can’t use your own sense of thirst as a guide. Thirst occurs late in the dehydration process, in many cases hours after you’ve become dehydrated. If you don’t feel the need to urinate hourly, and if your urine has turned from a healthy lemonade color to a jaundiced maize, you’re probably already dehydrated. Stop working and take a swig of water, sipping frequently in small amounts rather than the occasional guzzle. Add a little lemon, mint or cucumber to a cool glass of water for hydration with a twist. Or munch on watermelon, which is 92 percent water, according to the National Watermelon Promotion Board. As for all that beer you’ve been keeping cold? Pop one open after a cool shower and dinner. There you have it folks! Plenty of great tips on staying cool for the summer. June is Here – Be Safe Out There! Each June, the National Safety Council and its partners raise community awareness on preventing the leading causes of injury and death at work. Each week of June has a different focus area. Listed below are the four focus areas and some info on each. disasters strike. To successfully meet this challenge, emergency responders must be protected from the hazardous conditions that disasters and other emergencies create, whether they be natural or as a result of human action. Healthy people are statistically less likely to be injured, whether it’s at the workplace or in the home.The keys to staying healthy are diet, exercise, and regular medical check-ups. While safety is important in all aspects of our lives, ensuring safe workplaces has the potential to save thousands of lives and prevent tens of thousands of injuries and illnesses each year. In 2014, 4,821 U.S. workers died from work-related injuries and approximately 3.7 million workers suffered non-fatal injuries and illnesses. Home safety is also very important. Follow all safety guidelines when using appliances, power tools, and yard equipment. Be sure to keep all household cleaners, chemicals, and prescription and non-prescription medications in a safe place, Be aware and be safe! Distracted driving occurs any time you take your eyes off the road, hands off the wheel, and mind off your primary task: driving safely. Communication systems in vehicles are there for convenience, not safety. 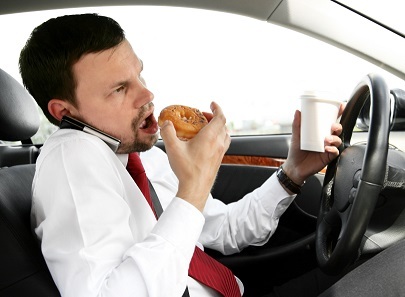 Even hands-free devices pose a threat because the brain remains distracted. Last but not least, do not engage anyone who appears to be having a bout with road rage. Remain calm, pull off safely, and let them pass. 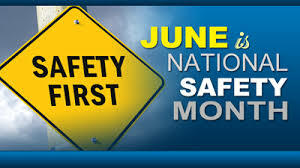 Okay, So there you have it – The four focus areas of National Safety Month! 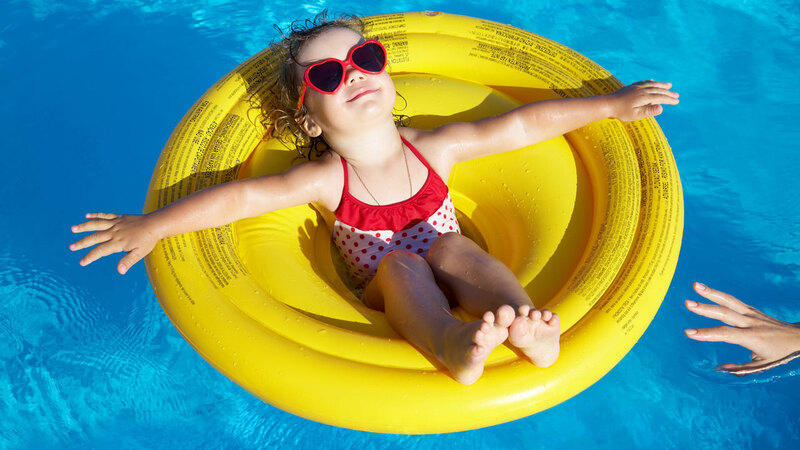 The team here at The Storage Inn wishes everyone a great Summer. Be safe out there!